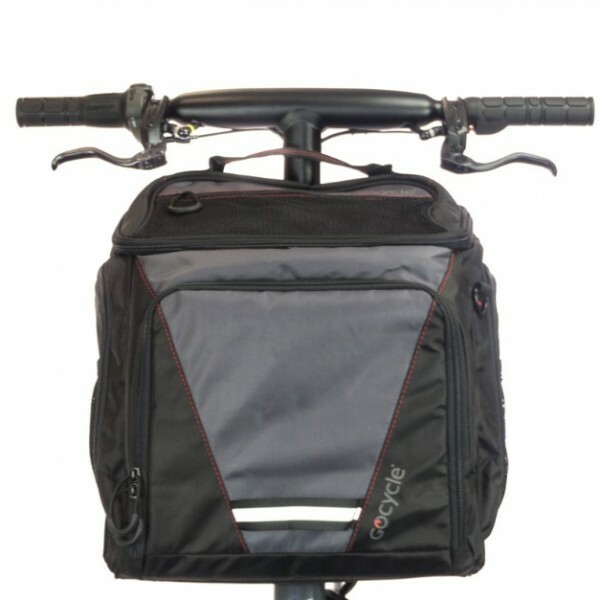 Bespoke for Gocycle, lightweight and high-tech material front pannier (24L including Side Bags). 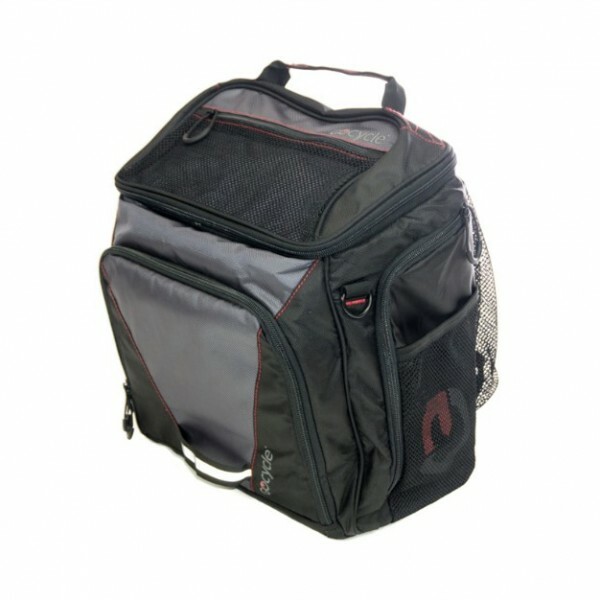 Multi-directional expanding pockets add useable volume, whilst still keeping the pannier compact when not required. Padded shoulder strap for comfort and convenience. 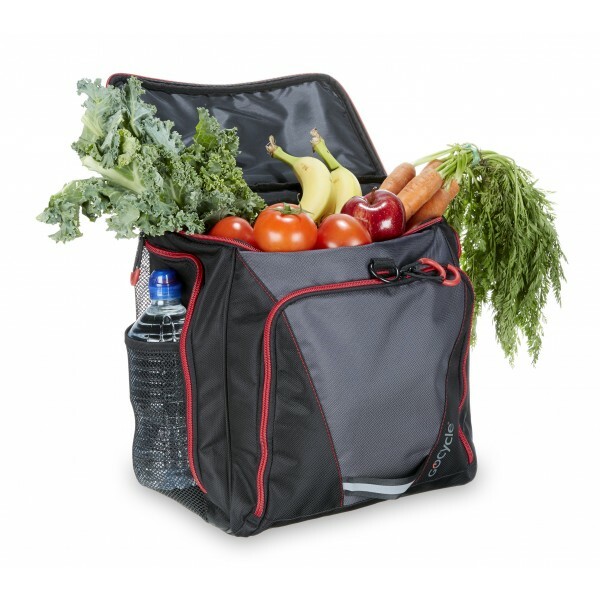 Soft touch and ergonomic moulded Black zip pullers and Black zip. 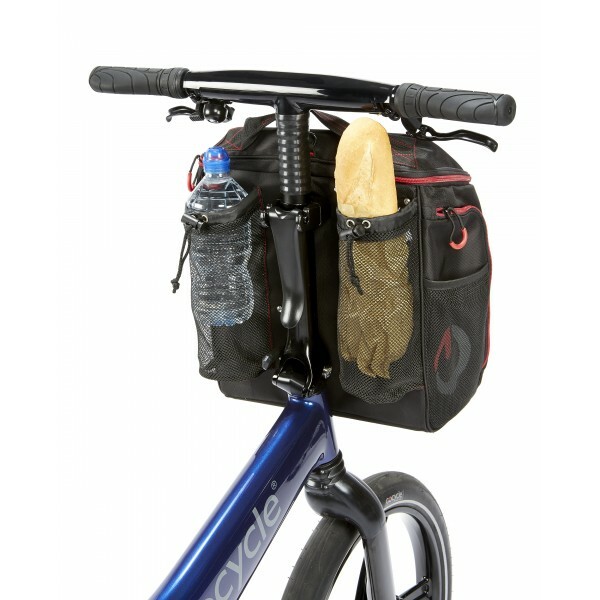 Inspired by Gocycle’s patented Pitstopwheel®, with one simple movement, the front pannier can be effortlessly detached or re-attached. Colour matched, soft-touch moulded zip pullers for fast access to your essentials, even when wearing gloves. 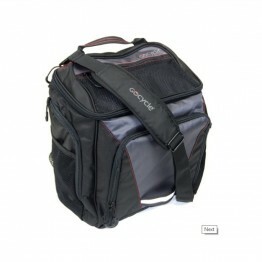 Detachable shoulder strap for comfort and convenience. 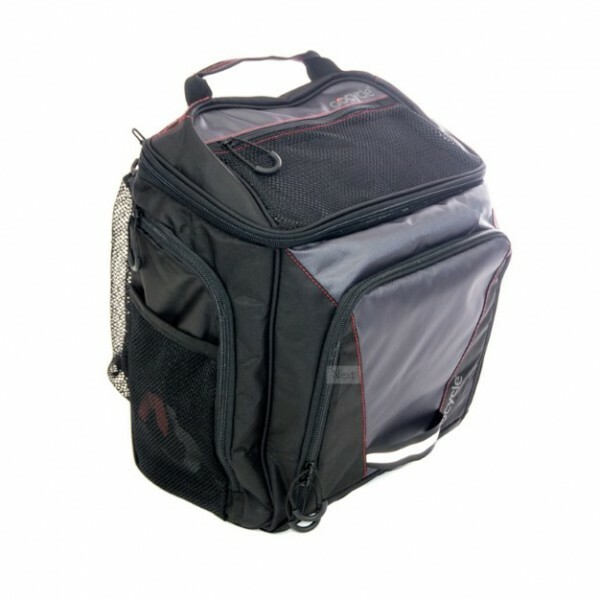 Large internal padded storage pocket for accessories and apparel (dimensions: 350x270x40mm) for tablets and laptops. 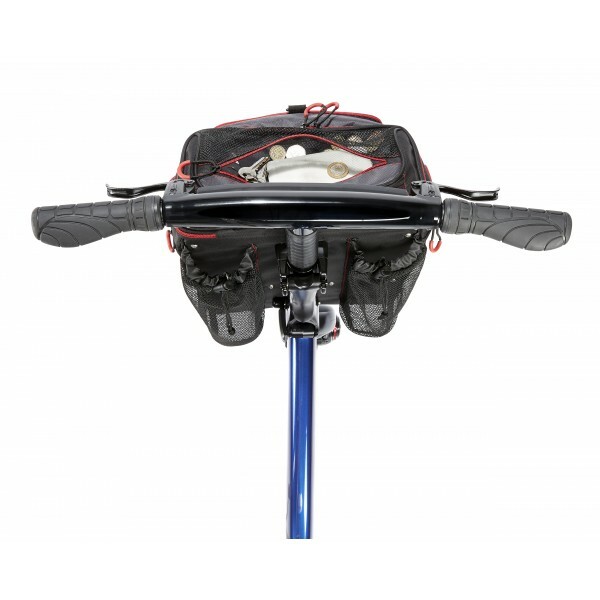 Locates weight close to the steering axis for sure-footed handling. 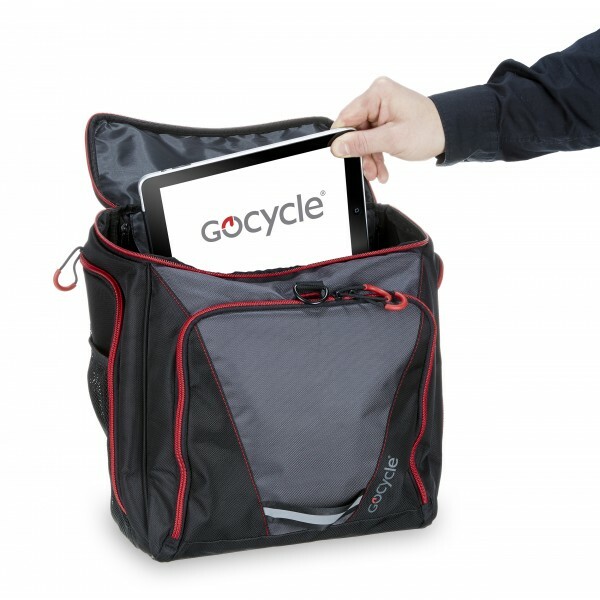 Gocycle Front Pannier is set for, shopping, leisure and every day use. 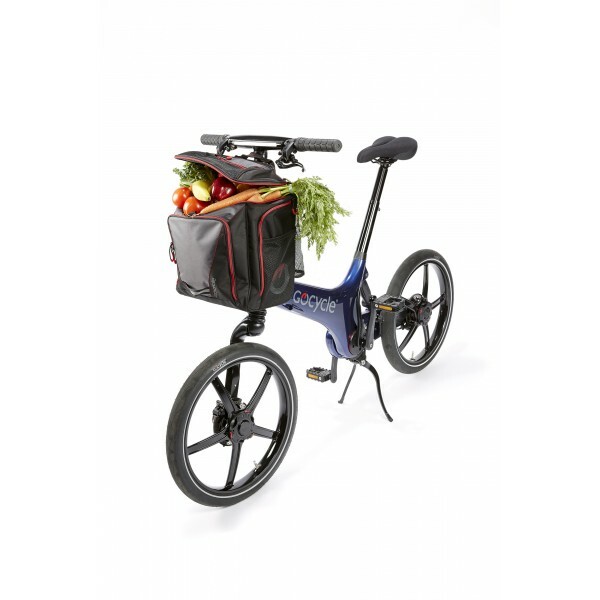 Internal support structure ensure a robust connection with the Gocycle for re-assuring handling when fully loaded. 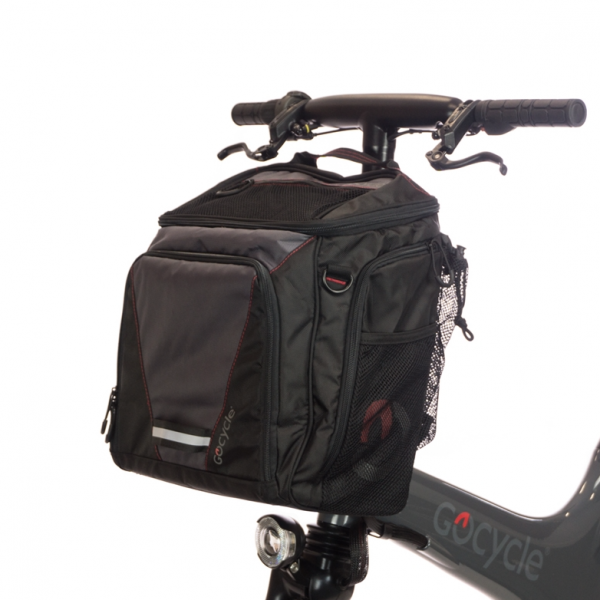 Symmetrical shape for practicle use on your Gocycle.